Every industry has a set of compliance and safety standards that each associated company needs to follow, failing which can lead to huge penalties and fines. The main challenge is to keep your employees and business partners informed about these policies and regulations, and train them accordingly to minimize the risk. We help organizations meet these safety standards by offering personalized training solutions and flexible delivery methods. 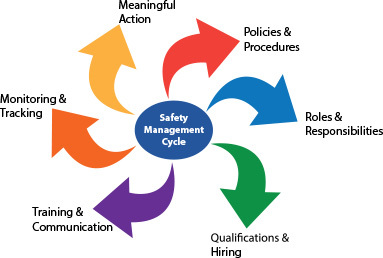 Compliance and Safety Trainings: We create safety training programs that consist of interactive presentations, real-world experiences, engaging training content, and use of advanced learning technologies to help your audience understand different industry norms and set standards fast-forwardly. Personalized Solutions: We design and develop learning solutions tailored to the specific compliance and safety needs of your organization. Our personalized training modules help in minimizing your present day risk and future liability by increasing safety awareness and ensuring safe behaviors. Compliance Review and Audit: Our training solutions allow companies to do thorough compliance reviews and audits across the organization to ensure workplace safety and that each one of employees are performing daily work activities in accordance with the industry’s best practices. Industry Leading Expertise: Our experienced team of learning development professionals stays up-to-date on the latest compliance and safety norms, and provides firsthand knowledge to your employees for quick implementation of best practices in the working environment.